Starting to take this hobby seriously – hosting my pouched pear danish pasty on a breakfast meeting at work. The pear was pouched in a water infused with melted brown sugar, dessert wine, cinnamon, star anize, lemon and nutmeg. Underneath is almond frangipane. 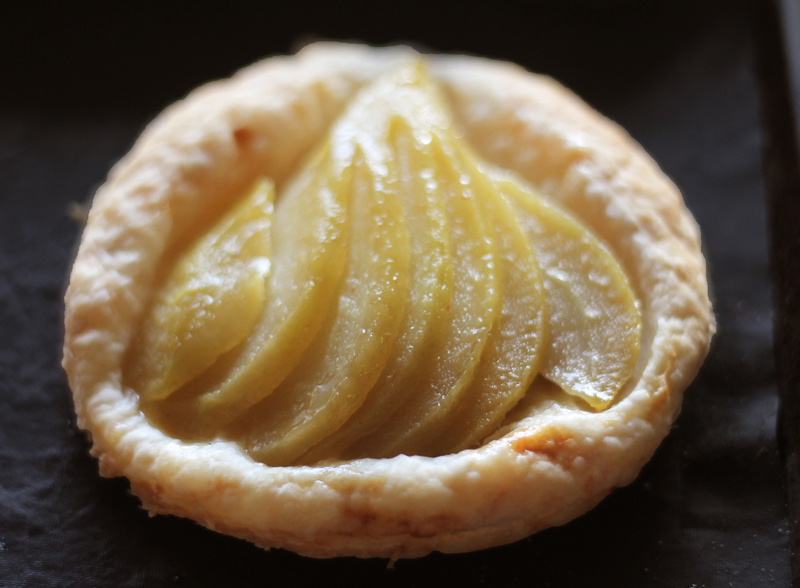 Pear is baked into a fresh pate feuilletée and glazed with pear marmalade.